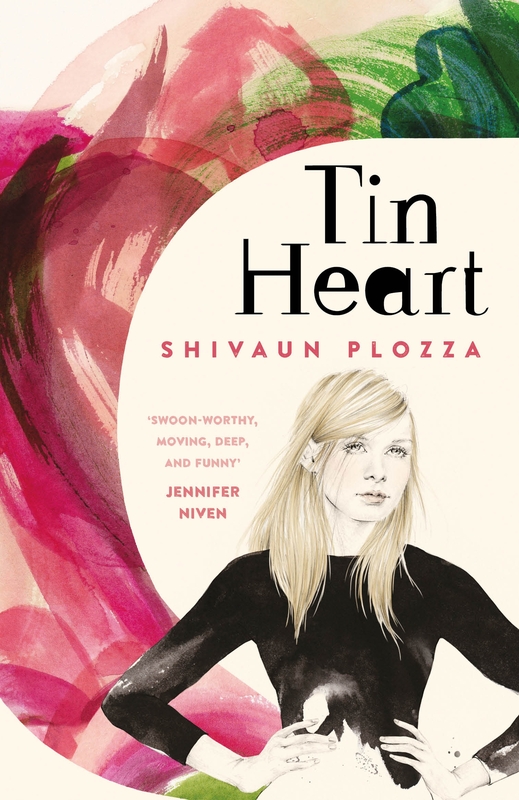 Tin Heart by Shivaun Plozza had just about everything I would want from a YA Contemporary novel – a funny yet awkward main character, an engaging supporting cast, a cute romance, and just the right amount of heartache. It was, however, missing any sort of real direction, which was a tad bit disappointing. Marlowe is a witty yet awkward main character who will have readers laughing, crying, and rooting for her – sometimes all at once. After her successful heart transplant, Marlowe returns to school. She is quickly befriended by the confident and outgoing Zan Cheung. Zan is a Chinese-Australian teen who challenges stereotypes, sexuality, racism and advocates for equality. Meanwhile, Marlowe finds herself locked in a very Romeo and Juliet-esque feud with the butcher’s son, Leo. He is charismatic and incredibly attractive – but beneath his self-assured demeanor, he and Marlowe have much in common. The relationship that grows between them is sweet and delightful to read – honestly, I may have enjoyed this book if it featured more of Leo and Marlowe’s story, rather than focusing on Marlowe’s convoluted friendship with Carmen, her donor’s sister. Marlowe is resolved to uncover her anonymous donor, compelled by gratitude and appreciation for the perpetual sixteen year old boy. This, at least initially, gives the story a direction and understandable plot. But when Marlowe finds the family of the anonymous donor almost immediately, the story quickly loses its sense of direction and purpose. Although morally ambiguous, once she has found her donor’s sister (Carmen), Marlowe befriends her under an assumed name, a situation which is further convoluted by Zan’s attraction to Carmen’s friend Kari. As this false friendship continues, the reader can’t help but wonder – Why is Marlowe leading the sister of her donor on, insinuating herself into her life, even when she knows (and is told) that she should be truthful? What is the purpose of dragging the story forward to its inevitably awkward and predictable conclusion? Personally, I feel that Plozza would have been better served by further investigating Marlowe’s dissociation of identity and its impact on her life, family, and relationships, rather than exploring her somewhat odd friendship with her donor’s sister – a sister who doesn’t even know who she is. Overall, Tin Heart by Shivaun Plozza wasn’t exactly my cup of tea, though I didn’t quite dislike it. I felt that Plozza lacked direction with the plot, and that this tale would have been more powerful and memorable if it focused more heavily on Marlowe’s experience with dissociation of identity following her transplant, and on her relationships – with her family, her friends, and Leo (3/5).